When you start learning a new language, “Hello” is one of the first words that you’re likely to learn. Saying hello in Thai is easy and it’s also a convenient and good way to start a conversation in many situations. How Thai people say hello in Thai and the way Thai people greet represent Thai culture and give a glimpse into how they live their lives. This article will teach you all you need to know about this, from saying “good morning” in the Thai language to finally concluding your conversation. Understanding “hello” when making a trip in Thailand will be very important. Similar to other languages, there are many ways to say hello in Thai. Each one is used differently based on who you’re greeting and the situation you’re in. Below, we outlined for you various ways to say hello in Thai along with detailed explanations. You’ll understand the context of the word more after reading this article, and as a result you’ll be able to say hello like a Thai native. 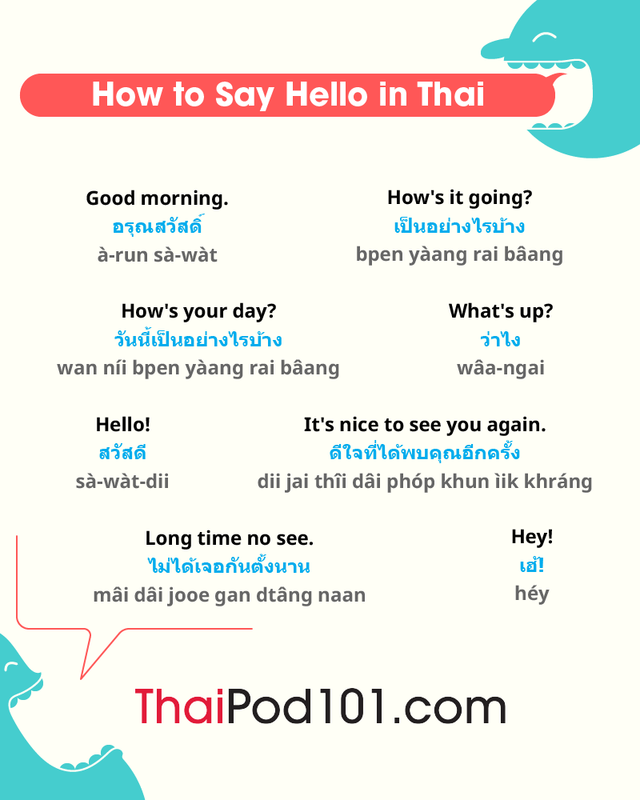 Let’s start with a general explanation of the word “hello.” What is the Thai word for “hello?” How do you say “hello” in Thai? How do you spell “hello” in Thai? And what is “hello” in Thai translation? “Hello” in the Thai language is สวัสดี (sà-wàt-dii). The word “hello,” in Thai means goodness, beauty, prosperity, and safety. Because of its good meaning, Thai people use this word as a greeting to wish other parties well. Sà-wàd-dee has been formally used as “hello” and “goodbye” in Thailand since January 22, 1943. Sà-wàt-dii is one of the ways to say “hello” or “hi” in Thai. And it’s probably the safest choice of hello words you can use in any situation and with anyone. You can say it anytime of the day. You can say it to anyone, whether they’re older or younger. So it’s wise to remember this word, though it’s not the only way to translate “hello” in Thai. Just say sà-wàt-dii. If the other party knows you’re talking to him/her, you can just say sà-wàt-dii to greet him/her. This case can be used when you don’t know the other party’s name, as well. Sà-wàt-dii + name of people/noun/group of people. You can be more specific when greeting by saying the name of the person (or group of people) you want to greet after saying sà-wàt-dii. Name of people/noun/group of people + sà-wàt-dii. Another way you can use this greeting is to call the person’s name (or the group of people) you want to greet first to get their attention, and say sà-wàt-dii afterward. Example: In a company meeting, a manager may greet with ทุกคน สวัสดีค่ะ (thúk khon sà-wàt-dii khâ), which means, “Hello everybody,” before starting the meeting. **Note: Females put ค่ะ (khâ) at the end of sentences to make them polite, while males put ครับ (khráp) at the end of sentences to make them polite. “Hello children” in Thai is สวัสดี เด็ก ๆ (sà-wàt-dii dèk-dèk). “Hello my love” in Thai is สวัสดี ที่รัก (sà-wàt-dii thîi-rák). “Hello handsome” in Thai is สวัสดี สุดหล่อ (sà-wàt-dii sùt làaw). “Hello girl” in Thai is สวัสดี สาวน้อย (sà-wàt-dii sǎao náauy). “Hello boy” in Thai is สวัสดี หนุ่มน้อย (sà-wàt-dii nùm náauy). “Hello beautiful girl” in Thai is สวัสดี สาวสวย (sà-wàt-dii sǎao sǔuai). Sometimes, when people who are familiar with each other greet, they shorten the word สวัสดี (sà-wàt-dii) to หวัดดี (wàt-dii) or ดี (dii). This is an informal way to greet, and is quite similar to the difference between “hello” or “hi” in English. This is a common way to say “hello” in Thai among friends. Now that you know what “hello” is in Thai, your next questions are likely to be: What is “good morning” in the Thai language? What is “good afternoon” in Thai? What is “good evening” in Thai? And so on and so on. So let’s learn Thai greetings for each time of day. Also keep in mind before we get into it that there is a formal way of greeting, and an informal. The formal one is a bit hard to learn for foreigners. Fortunately, you’ll hear the formal greeting only in TV shows, radio shows, or in formal situations, but not much in daily conversation. Thai people use the less-formal one in daily speaking, and it’s very easy to learn and remember. You just put the time after the word sà-wàt-dii. ** The formal word for “good afternoon” is rarely used, even on TV or radio shows. ** raa-dtrii sà-wàt can be used in all situations, both in media and in daily conversation. There are many situations where you can use Thai “hello” or sà-wàt-dii. Further, there’s a best way to say “hello” in Thai, depending on the context. Since you may be new to the language, we’ll show you sentences and phrases that you can use along with sà-wàt-dii in various situations. This is the situation when you meet someone, greet him/her, and introduce yourself to him/her. Basically, it’s how to say “Hello, my name is…” in Thai. When you meet people you already know but aren’t very close with, you can greet them and have a little chat with them. So this is how you say “Hello, how are you?” in Thai. Hello, what do you want to order? 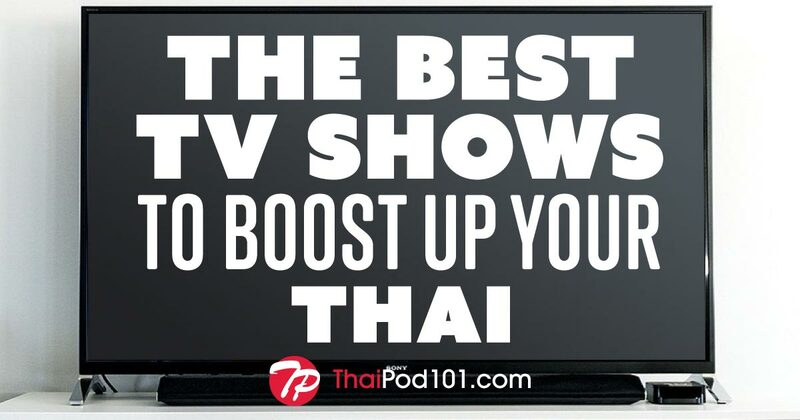 In Thai, saying sà-wàt-dii or “hello” in Thai isn’t the only way you can say hello. There are other words and phrases you can use for greeting in both Thai and English. It’s like saying “What’s up?” in Thai or “How’s it going?” in Thai. This is an informal or casual way to greet for people who already know each other or are close to each other. These phrases all have the same meaning: “How are you?” or “What’s going on in your life?”. However, the level of casualness of each phrase is different. The shorter the phrase is, the more casual it is. Another way of saying hello in Thai is to ask if someone is doing okay. Similar to the phrase “How are you?” in Thai, despite having the same meaning, the shorter the phrase is, the more casual it is. Situation 1: Todsapol and Trin are friends. They haven’t seen each other in two years. Situation 2: Ann and Bee are high school friends. They meet each other on a daily basis at school. In Thai, when people greet each other, they do an action called ไหว้ (wâi) along with saying sà-wàt-dii. There are many ways to wâi depending on whom you’re doing the action for and how old that person is. Generally, if you want to wâi, mirror the pictures below. If thinking about the word “hello” and songs, Thai people who were born in the 80s and 90s automatically think of the song Hello by Mos Pathiparn. When Thai people pick up the phone, they normally say “hello” or ฮัลโหล to let the person on the other end know they’ve picked up. This song represents this action; it’s about a man who keeps calling a woman to ask where she is, so in the song, the word “Hello” is sang repeatedly. On the picture, apart from the day’s greeting, there’s usually nice picture as the background, such as a flower, beautiful scenery, or a cute animal. The color tone of each picture is often based on the day; for example, yellow for Monday and pink for Tuesday. So if you’re friends with Thai people in Generation X, you’re likely to get this picture from them as a greeting. 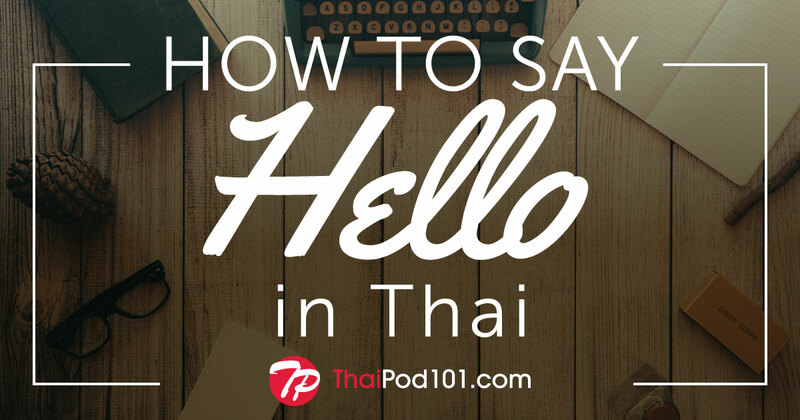 In summary, learning how to say “hello” is a nice way to start learning Thai, as you can use this word to start conversations with Thai people. Knowing “hello” when travelling to Thailand is the first step in forming new friendships and relationships.